eClass lets you receive notifications via subscription from any forum with settings specified by the instructor(s). Announcements are special forums in courses that instructors commonly use for important course-related communications - these are set to a forced-subscriptions so you are unable to (nor should you try to) turn off these notifications. However, most forums are set to ‘Optional Subscription’ which gives users control over what forum notifications they receive; or to 'Automatic subscription' where the instructor feels that all students should receive notifications but has left the option available for them unsubscribe. 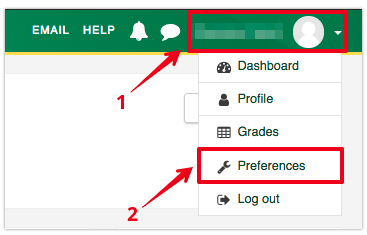 New in eClass for summer 2018, users can receive notification alerts from events in eClass such as new forum posts, assignments needing grading or badges awarded. Similarly to the Messaging notifications, these are also highlighted with a number in the menu at the top of the screen when there are new ones received. The 'Open envelope' icon means you are not currently subscribed. The 'Closed envelope' icon means you are currently subscribed. Enter the Forum and click the Gear icon near the top right. Click ‘Subscribe to this forum’ or ‘Unsubscribe from this forum’. Email digest type - choose to receive a single aggregated email per day containing all subscribed forum posts. 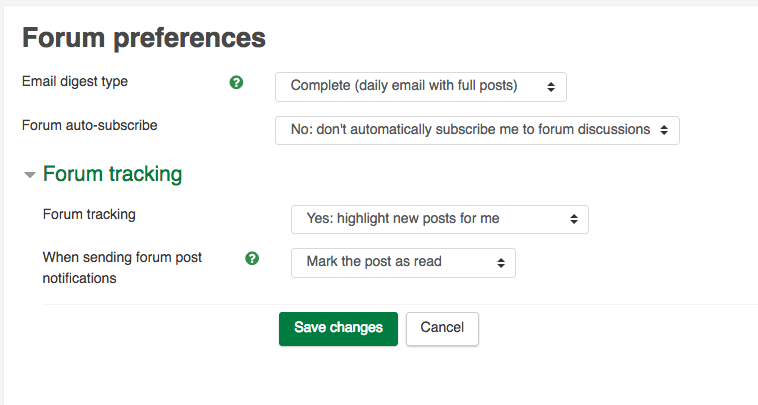 Forum auto-subscribe - select whether making a post in an optional subscription forum should automatically subscribe you for future posts into that particular topic (ie. if anyone replies to your post). New in 2018: When sending forum post notifications - determine whether eClass should count emailing you a copy of a post as it being read (emailed forum notifications would no longer be shown as new and unread). Ensure you click Save changes after making any adjustments to your settings.